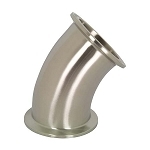 Alfa Laval/Tri-Clover high pressure bolted clamps are constructed of 304 stainless steel and range in size from 1.5" to 4". Larger sizes are available by special order. 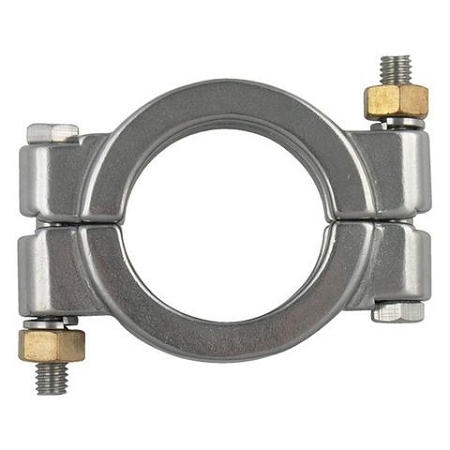 Each side of this high pressure clamp is secured by a brass nut, and are commonly used in high pressure ituations where temperatures fluctuate and PTFE gaskets are installed.